Our move from the UK to the USA. All content is © by Sarah German. Did you know that you need to get a new green card when you turn 14? Do you know the reason why? No really, I'd like to know why. My son, Z, turns 14 this weekend, and we have just submitted the online I-90 form to get him a new green card. If you file the paperwork within 30 days of your kid turning 14 you only need to pay the biometrics fee of $85. If you wait too long you will need to also pay $455 filing fee. Hence me making sure my son's application is filed 2 days before his 14th birthday. We have not received a receipt in the mail yet, but I got email notification of receipt and I have seen a digital copy of it. Usually when kids are signed out of school early I see stuff like "doctors appointment", "dentist appointment", "family emergency" type of thing written down on the sign out sheet at my kids school. I am slightly looking forward to writing down USCIS on it and seeing the look on the front desk persons face when they check it. Meanwhile I will be signing my 14 year old son out early and writing "Emergency orthodontal visit". Now back in the UK and the retainers we got just before we left the US both now seem to hurt" and he's telling me he can feel his teeth moving back. Argh! That does seem ridiculous. 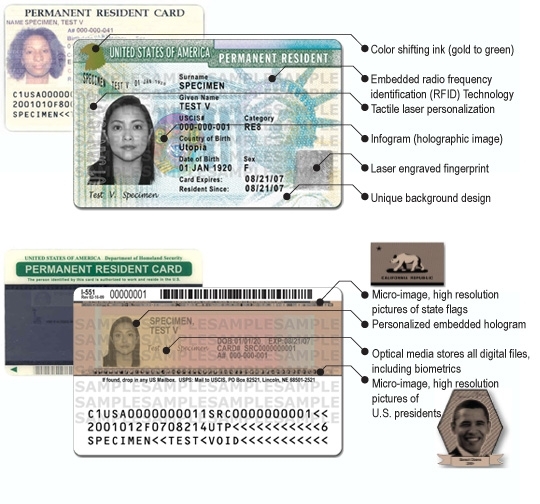 A green card seems like it should be issued when an individual turns 18. What would the process look like if I, an American, tried to move to the UK? It's A New Year. First Post of 2016. UK Trip Day 8. Wedding Day. This work by Sarah German is licensed under a Creative Commons Attribution-NoDerivs 3.0 Unported License.